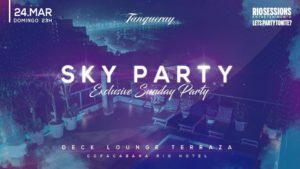 We have the top three picks for this Sunday, and below there is a list of bars and lounges that are always a good option. 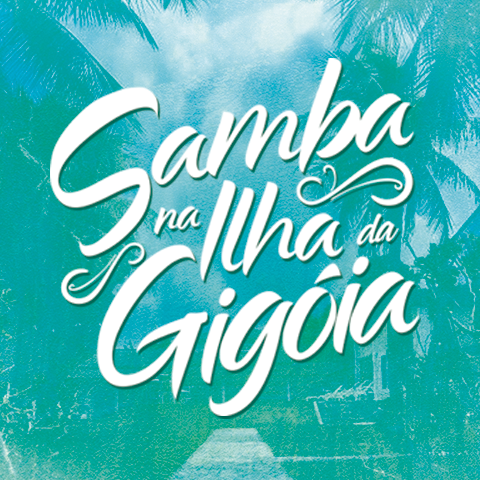 Samba na Ilha da Gigóia @ Ilha da Gigóia (Barra da Tijuca) – Possibly the perfect way to spend a Sunday, with the live sounds of Samba Que Elas Querem on the sleepy, idyllic island of Ilha da Gigóia. 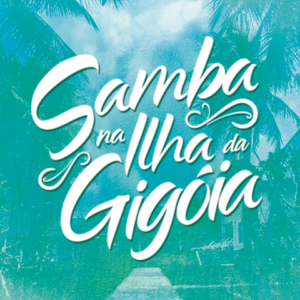 Expect a stirring tour through some of the best female voices of samba – plus Brazilian barbecue and plenty of casual refreshments, including ice-cold beers. The music should start at 4PM and tickets are between R$0-R$10. 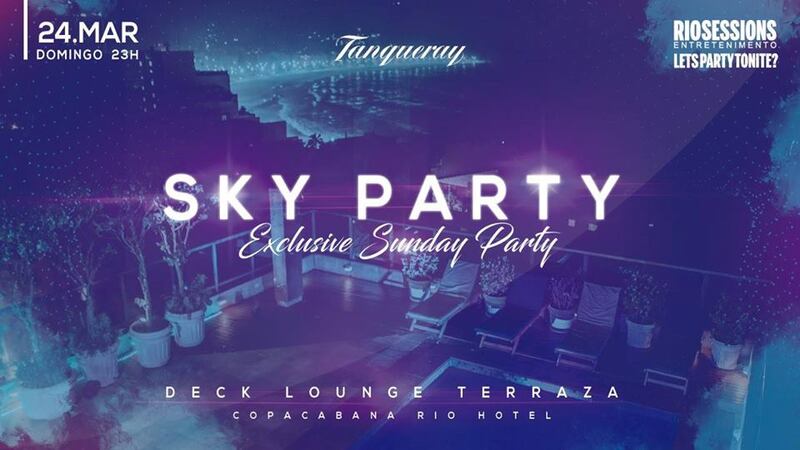 Sky Party @ Copacabana Rio Hotel (Copacabana) – Enjoy one of the most beautiful views of the city against a soundtrack provided by DJ Cauê Campean and DJ Guga Fernandes, current resident DJs of the popular nightclub New Mariuzinn Copacabana, who will be blending Latin styles like reggaeton and cumbia. With Tanqueray as the event sponsor, there’ll be plenty of gin cocktails to go around at this two-floor luxury location. 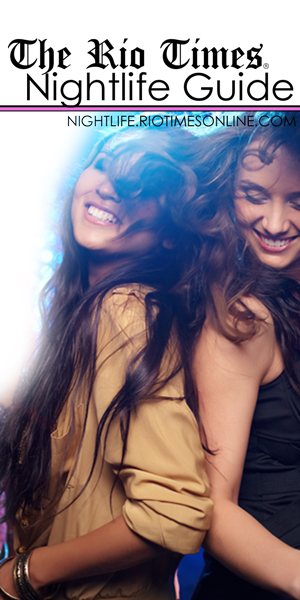 Tickets are available from R$40 and the evening begins at 11PM. Samba da Lagoa @ Av. Borges de Medeiros, 997 (Lagoa) – Rio’s Lagoa is one of the most picturesque locations in the city, with views of Christ the Redeemer and unforgettable sunsets. 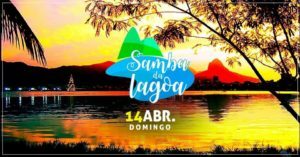 Today, there’ll be the added treat of live samba from Moacyr Luz and Samba Do Trabalhador to accompany the gorgeous surroundings. Tickets are between R$15 – R$30 and the music will start at 4PM. Sunday afternoon drinking whilst eating salgadinhos (appetizers) and watching the sunset at Bar Urca is a regular pastime in Rio de Janeiro. This simple establishment on the bayside has been a hit since 1939. Vintage-looking Adega Pérola is famous for its delicious Portuguese-Brazilian finger food, served to you quickly at the bar’s counter area. Always a great place for Mexican food, drinks, and watching live sport streams and broadcasts, Blue Agave is just around the corner from Posto 9. The bar’s English-speaking staff make it a popular hangout for expats.